Reporting to the Vice Chancellor and Chief Financial Officer, the Office of Academic Planning and Budget (APB) supports UCLA executive management and campus-level strategic planning by providing objective and timely data and analysis to inform central and unit decision making processes. It acts in an advisory role to the Chancellor and Executive Vice Chancellor/Provost in the allocation and administration of all campus funds. In addition, the office interacts with the Office of the President (OP) to ensure that the campus resource base and its flexibility are maximized and that the campus academic performance and programs are accurately characterized in systemwide reports. Working with academic units, APB also plays a key role in providing guidance and support at the programmatic level. APB compiles data from official campus sources and generates institutional information and analyses used by the college, schools, and departments in program planning and resource management. Institutional data are also provided to accrediting organizations, federal departments, the state legislatures, and ranking agencies as part of the accountability reporting schedule. APB offers a range of resources and data products on this website to inform and support campus constituents and public inquiry. Please see below for more details or contact APB for additional information. APB provides advice and oversight to individuals responsible for management of campus resources, administration of funds, program management, and staffing decisions. Functional areas include budget administration; the campus budget system, C-BIG; and program analysis for academic, research, and administrative programs. Policy guidelines, updates, best practices and reporting procedures. APB supports campus planning by providing standard and customized analyses to individuals and groups charged with making policy decisions and reviewing academic programs. Includes standard reports such as the Class Report and MP Tables, as well as customized enrollment and program analysis. Contact APB for support and assistance. 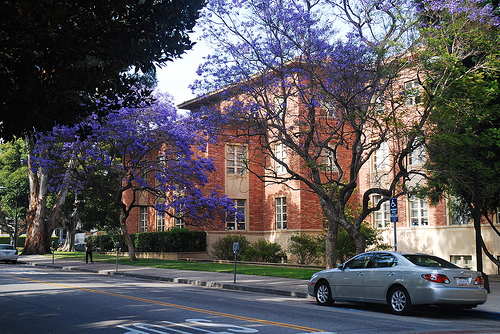 In accordance with public information guidelines, APB provides customized reports to the public, media, and UCLA stakeholders relating to students, programs, and institutional characteristics. Requests for customized reports can be made by contacting the APB IR Group.